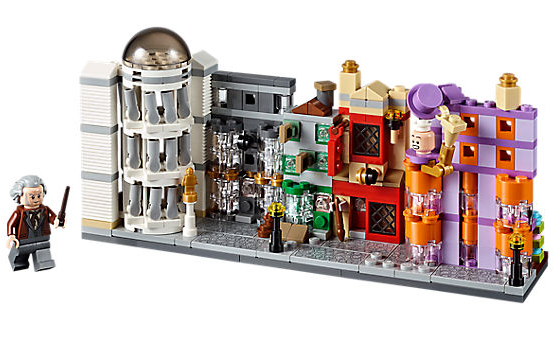 If you spend $99 or more, you can qualify for the LEGO Harry Potter Diagon Alley 40289 set which carries a retail value of $19.99 come this November. This is not a bad way to get free LEGOs on the sets you intend to buy and keep or hold to flip later on. These promotion sets certainly have resale value on the secondary market for the people who don’t want to spend money on other sets to qualify, only wanting the promotion set. This set features some microfigures but also includes an exclusive Ollivander minifigure. We all know that minifigures can fetch some nice profit for those not interested in keeping in their personal collections. 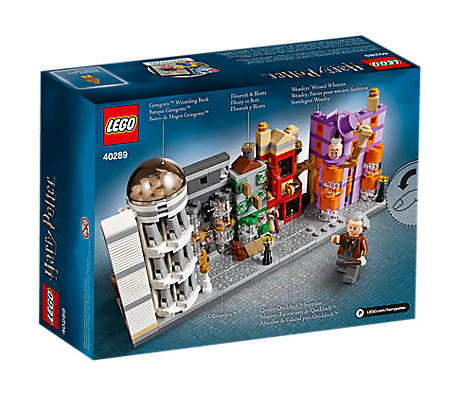 LEGO® Diagon Alley™ Micro Build (item 40289) offer is valid on shop.LEGO.com and at LEGO Stores from November 9 through 11:59pm EST, November 21, 2018, or while supplies last only. Qualifying purchase must be equal to or greater than $99 in merchandise only; any applicable taxes, shipping charges, or value of gift cards purchased do not apply to merchandise total. Offer excludes Bricks & Pieces and backorder items. Cannot be applied to previous purchases or combined with any other discount, offer or free gift. One free set per household. Item is valued at approximately a $19.99 (US) / $26.99 (CA) retail value and cannot be exchanged or substituted for any other item or cash value. Item is available exclusively through this offer; additional sets cannot be purchased. Offers not valid at LEGOLAND® Parks or LEGOLAND Discovery Centers. The LEGO Group reserves the right to cancel or modify these promotions at any time without advance notice.